Something is happening today that signals a turning point for the downtown neighborhood. 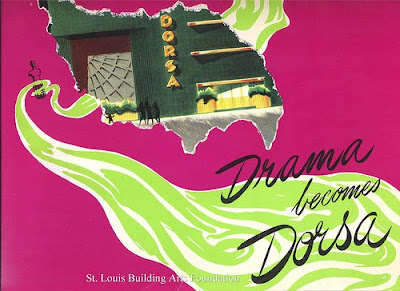 The last developer owned unit at the Dorsa Lofts is scheduled to close, which is great news for the Dorsa building and for downtown. When the Dorsa project was first unveiled I was excited. This was in september 2005. We were in a housing shortage downtown. Buyer's were looking downtown, only to find that the space they were looking for hadn't been built. Buyers were flipping their newly built lofts for large profits, and pricing was creeping up towards the $200/square foot mark. The Dorsa, an attractive building with timber ceilings and exposed brick was promised to be finished similar to the newly completed Banker's Lofts. Pricing started at $122 / square foot. It seemed like a safe bet on a great block. The opening party held by Pyramid Construction casual. We showed up at the beginning and started pouring over the sales materials, pricing and such to get a grasp on what was going on. We had several clients showing up and more that were interested. 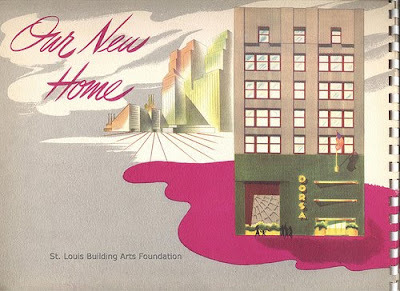 The first unconventional thing about the Dorsa was that, unlike other new construction sales downtown, Pyramid failed to convert its reservations into executed purchase agreements for over 6 months. It wasn't long until the market started to cool down and lots of reservations were cancelled. It still was a good value. The location was great. We kept our reservation. Closings started happening in Summer 2007, Pyramid collapsed in April 2008. Premier Bank took over as the 'builder' and ran the building. For over a year, the vacant units, over 50% of the building, sat empty with no visible efforts to sell. The Bank thought that selling off the units as a large block would be in its best interest, despite the negative implications for the building. With virtually no commercial lending available for anyone to buy the remaining units, they allowed a prospective buyer to start renting out units and a few went on the market. Sales started trickling in. Eventually in the fall of 2010, Premier Bank was taken over by the FDIC. Assets were going to be sold quickly. Regardless of the market, prices were slashed drastically. Rentals were terminated and some ended up buying. Finally the building started to fill up. While the road to completion for the Dorsa took significantly longer than the buildings sold during the boom, after today, we can say that its SOLD OUT! How is that a turning point? When the stock market crashed in 2008 and banks started failing was when the St Louis real estate market went from slow to scary. The additional burden that downtown struggled with was the public perception that there was a glut of unsold lofts downtown. Now that the inventory of Dorsa Lofts have sold out, we're a step closer to a balanced market (between a buyer's and seller's market) and most likely a more favorable climate for appreciation and more new construction.